Eight light chandelier. 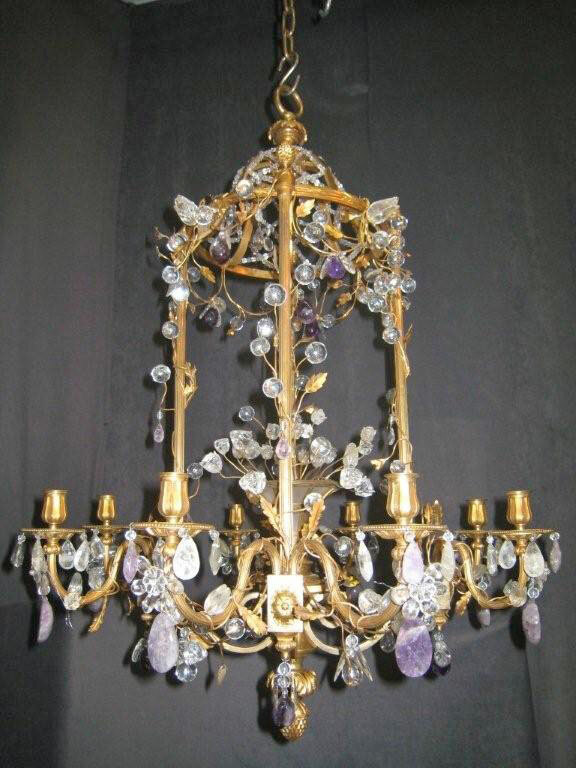 Gold bronze with amethyst and clear rock crystal trim. French 19th century.